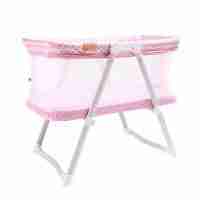 A safe sleeping space for your baby that’s larger than most standard moses baskets and bassinets. 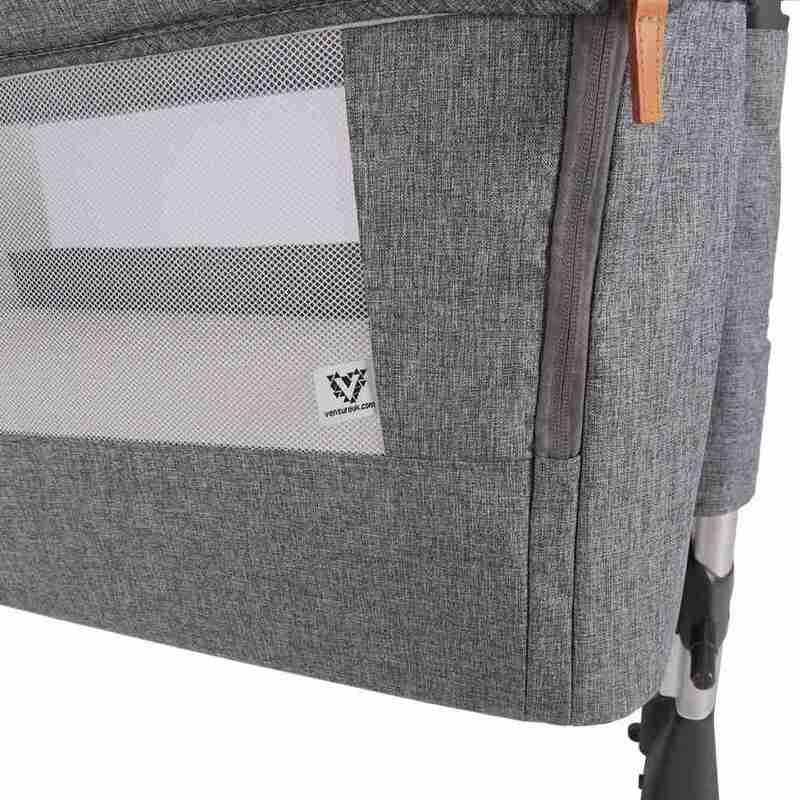 Unzip the side panel and connect fastening straps to transform from a crib to a co sleeper allowing you to keep close to your baby at night! 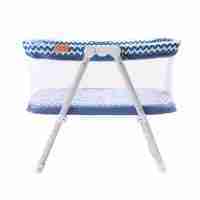 Specially designed mattress provides your baby with support as well as comfort. Lightweight design makes it perfect for use in almost any room in your home. Height adjustable to sit comfortably along any bedframe. If your baby is six months or younger the chances are you are or have been considering co sleeping. The Hush co sleeper is a bedside crib that has been developed by Venture to provide parents with a safe sleeping space that allows them, and their baby to enjoy the benefits of co sleeping without the risks associated with bed sharing. 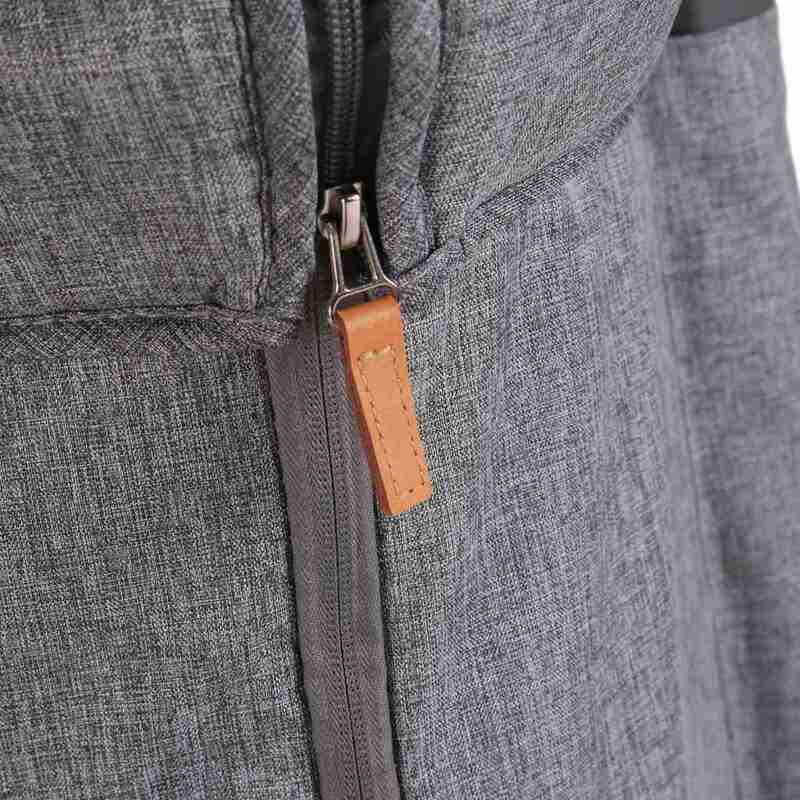 Setting this “next to me” crib up couldn’t be any easier, simply unzip the side panel and lock into place to the underside of the crib. 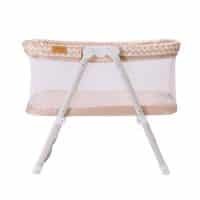 Next you simply need to attach the fixing straps to the clips on the underside of the crib, pass them underneath the the adult bed and hook to the otherside. The straps are then tightened to provide the co-sleeper with a strong solid fit to the side of the bed. 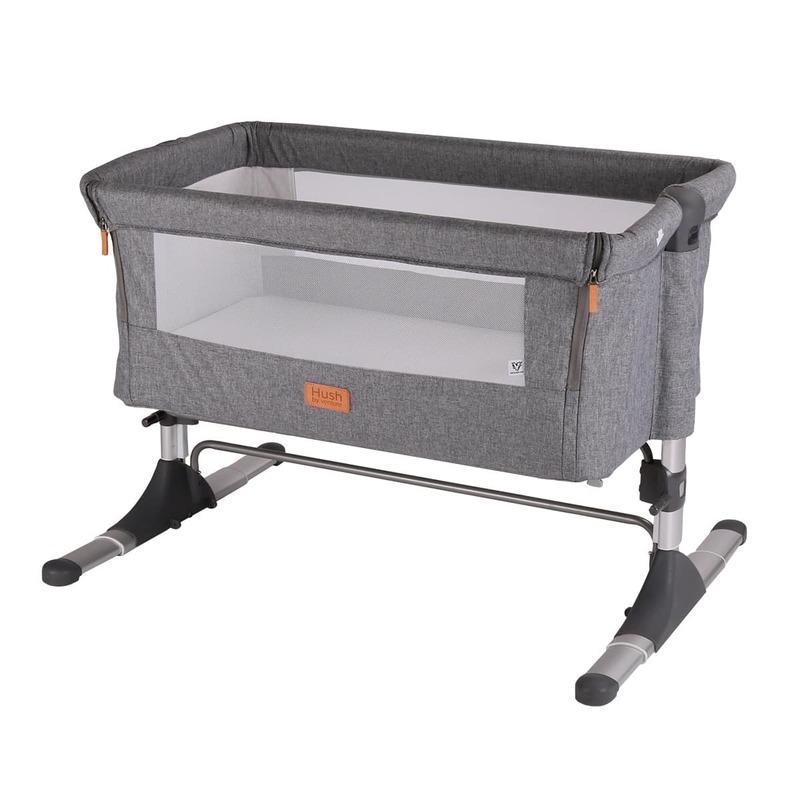 The Hush features multiple height adjustment points that make it perfect for parents that have non-standard height bed. The option to select different heights means that on-the-go parents can feel confident taking the Hush with them when travelling as there’s always a height to suit them. The clever height adjustment on the Hush also allows it to be tilted slightly, helping to reduce the effect of Colic on your baby. 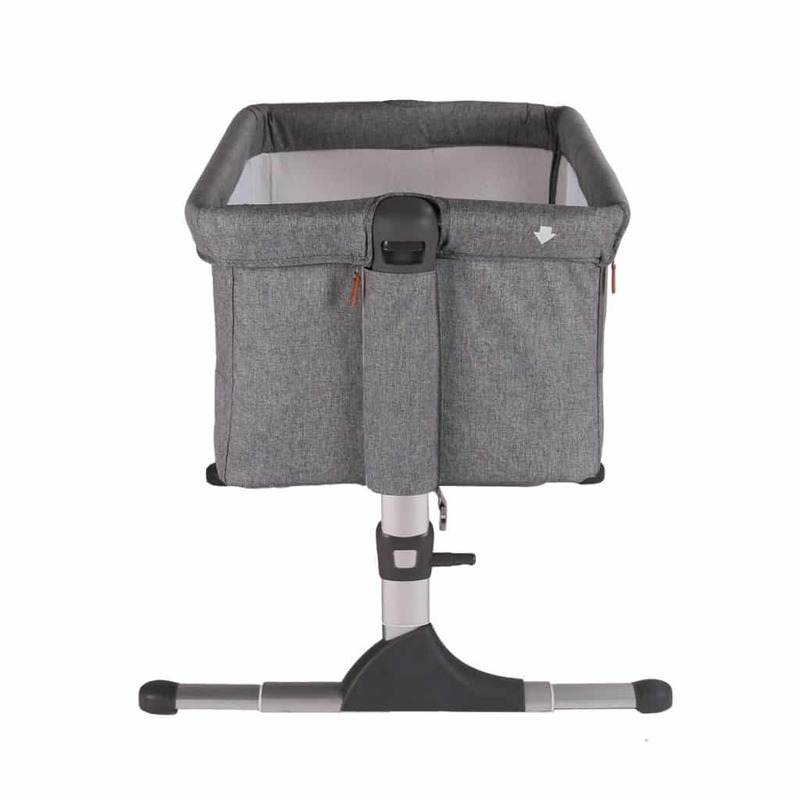 Simply clasp one side and pull up on one of the height adjusters and lock the crib into the next available position to achieve the level of tilt you want. 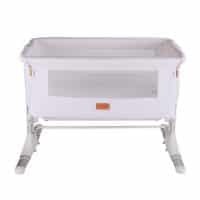 The Hush co-sleeper and bedside crib has been designed using high quality materials that are not only great for your babies comfort, but for durability purposes aswell. 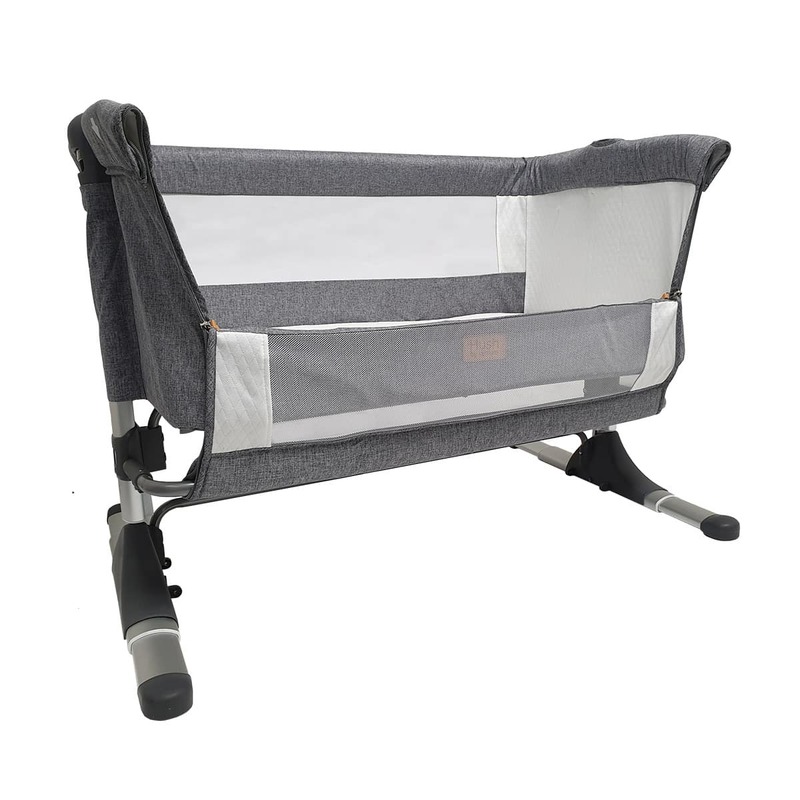 The crib itself is cacooned in tough durable grey marl fabric, that’s designed to show up less marks and stand the test of everyday wear and tear. 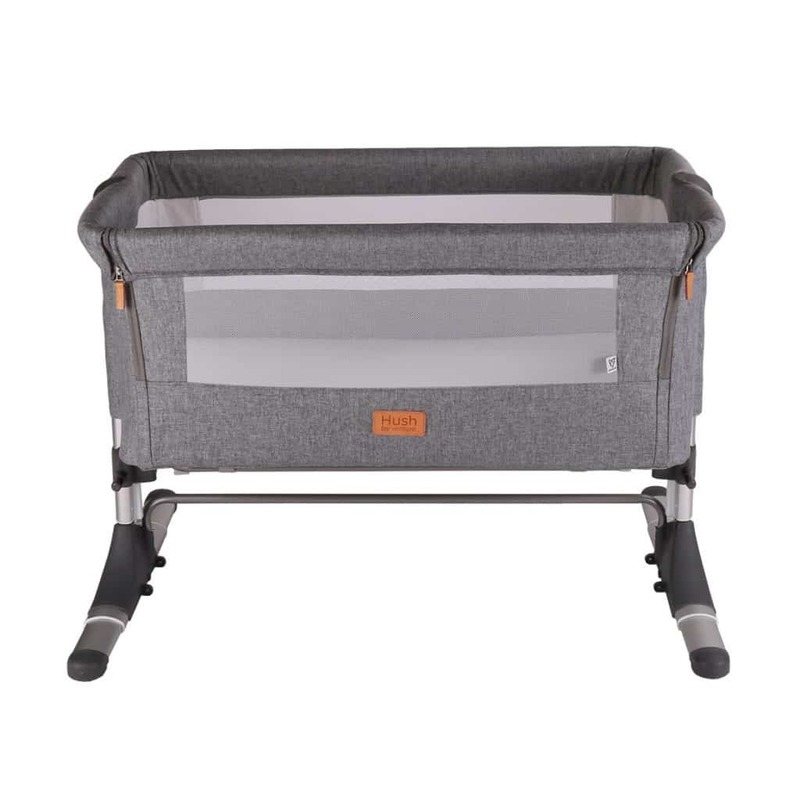 Inside the co sleeper you’ll find soft quilted fabrics that are soft to the touch and a breathable fabric mesh that allows air to pass through freely and give you a the best view of your baby at all times. 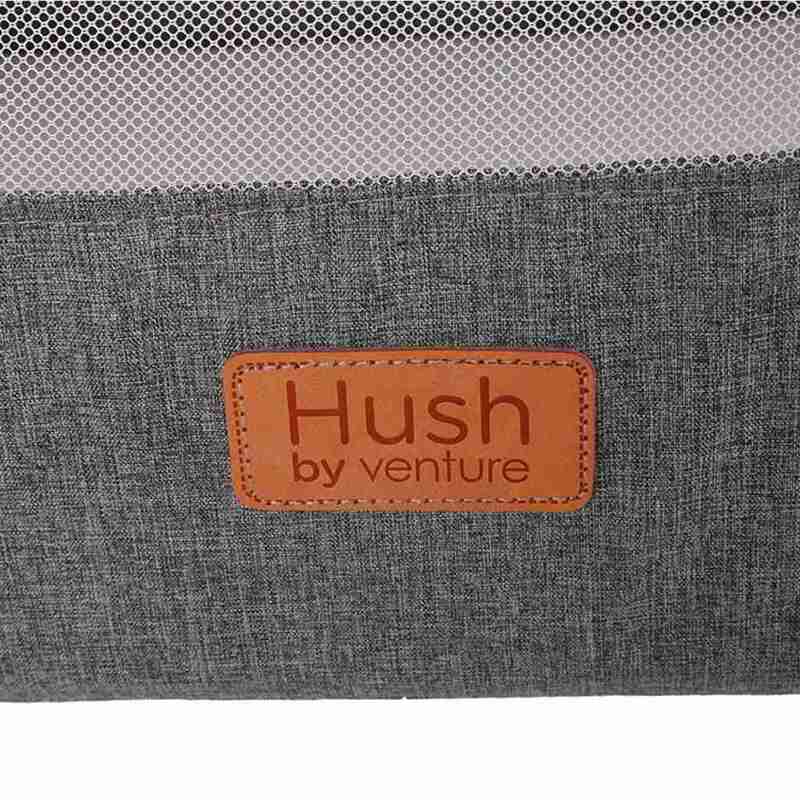 Being such a key element to any baby bed we took special care when it came to developing the mattress on the Hush. Not only is it firm enough to support back sleeping it’s also thick enough that it still remains comfortable for your baby.